Master in speed realism, Shawn is extremely good at doing custom family portraits. He always seems to capture that look in someone’s eye, or that smile a departed love one might have had. Shawn takes great consideration to people’s connections with each other and he gets it when it comes to having lost loved ones and trying to hold onto them as long as possible. Whether it be large or small, on canvases, or on a wall, Shawn knows how to capture those you love. 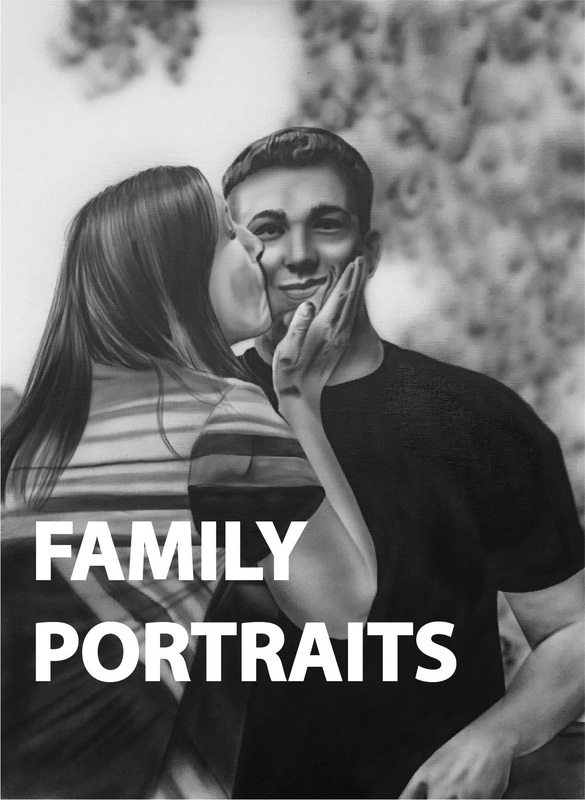 Shawn has done many memorial pieces, but he’s also done a lot of family portraits where family’s just want a painting done to remember a moment in time, hanging on their wall.